Welcome you to join us today to celebrate the 68th anniversary of the founding of the People’s Republic of China. Over the past 68 years, particularly since the reform and opening up almost 40 years ago, China has made remarkable achievements in its development, with the livelihood of the Chinese people significantly improved. The relationship between China and the rest of the world has also witnessed unprecedented changes. Now, China is forging ahead to build an all-round and moderately well-off society. This year is an important year for China. We have deepened comprehensive reforms in our endeavors to accelerate the economic restructuring and industrial upgrading. China’s economy has maintained steady and sound performance and new drivers sustaining development have grown in strength. The first half of this year saw 6.9% growth of the economy, with the added value of the service sector accounted for 54.1% of GDP. And 7.35 million urban jobs were added. 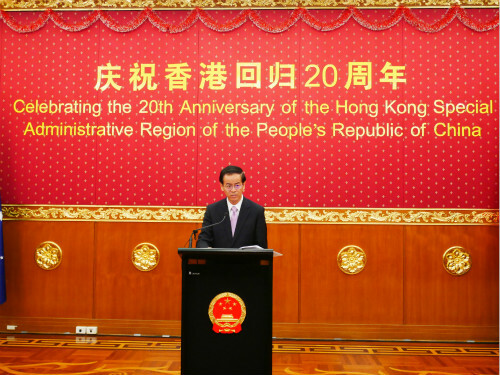 We celebrated the 20th anniversary of Hong Kong’s return to the Motherland. What has happened in Hong Kong over these years fully demonstrates that “One Country, Two Systems” is the best institutional arrangement to ensure Hong Kong’s long-term prosperity and stability after its return. It has proven to be a workable approach welcomed by the people. We commemorated the 90th anniversary of the Chinese People’s Liberation Army. While safeguarding our national sovereignty, security and development interests, the Chinese army plays an increasingly important role in maintaining regional and international peace and stability. We successfully hosted the Belt and Road International Cooperation Forum which delivered a series of important outcomes. It marked the Initiative entering a new stage, with more and more countries and international organizations supporting and participating. We are convinced the Belt and Road Initiative will serve as a new platform for all countries to achieve win-win cooperation. We hosted the BRICS Summit in Xiamen not long ago. The leaders of the five countries had in-depth exchanges of views and reached broad consensus on the current international situation, global governance and BRICS cooperation. They decided to work together to start another “Golden Decade” of BRICS. During the summit, China also hosted a dialogue between Emerging Markets and Developing Countries. This October, the Chinese Communist Party will hold its 19th National Congress. This is a very important conference as China is striving to achieve its goal of building a moderately prosperous society in an all-round way. 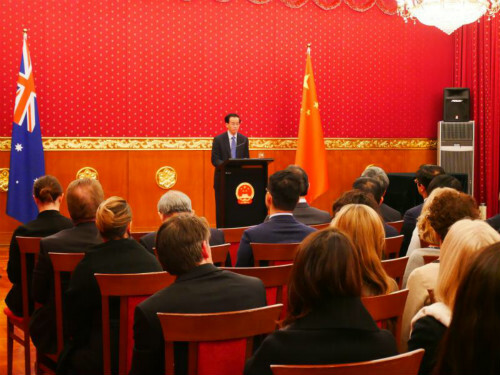 The Congress will review the Party’s work over the past five years, and thoroughly examine the current international and domestic situations. By taking into account the new requirements for the development of the Party and the country as well as new expectations from the people, it will draw out guidelines and policies that meet the call of the times, thus creating new prospect for socialism with Chinese characteristics. The Congress is expected to have significant and far-reaching impact on China’s future as well as its relations with the world. 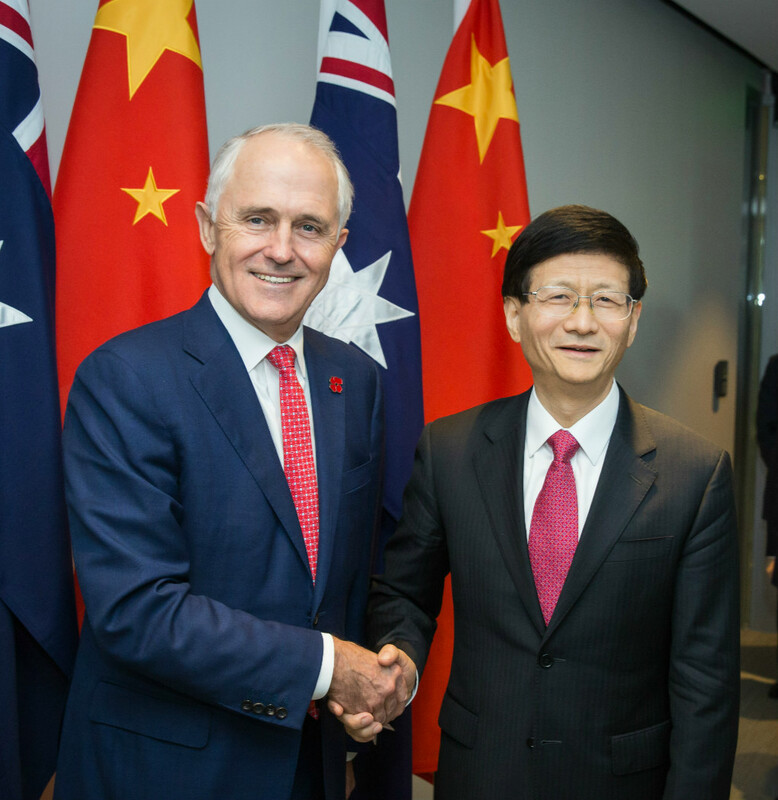 This year is also an important year for China-Australia relations. 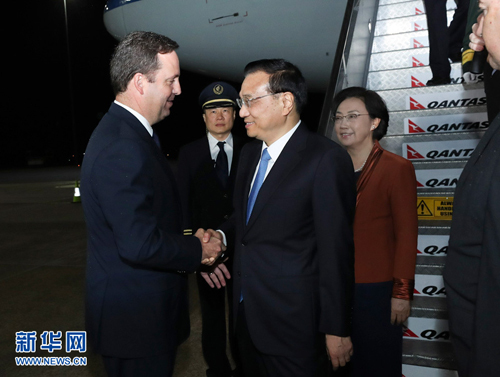 Premier Li Keqiang made a successful visit to Australia in March. The two sides agreed to further broaden and deepen the bilateral cooperation, injecting new impetus to the relationship. The Hon. 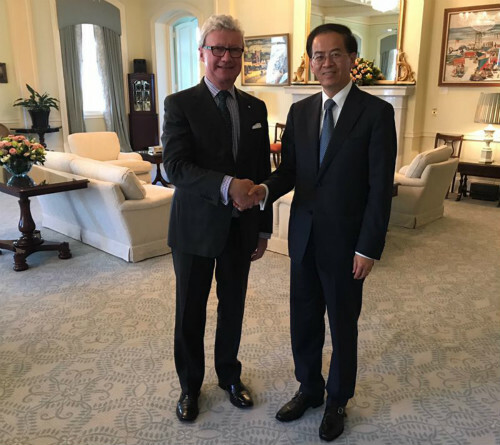 Speaker of the House Mr. Tony Smith visited China in June and the sixth meeting of the regular exchanges mechanism of China-Australia legislative bodies was held, which promoted the parliamentary communication and collaboration between the two countries. Moreover, the High-Level Security Dialogue was launched with agreement on cooperation in four areas. The two sides also held the annual Diplomatic and Strategic Dialogue, the 20th Defense Strategic Dialogue, and a new round of Joint Ministerial Economic Commission and Strategic Economic Dialogue. The dividend of ChAFTA is keeping released. 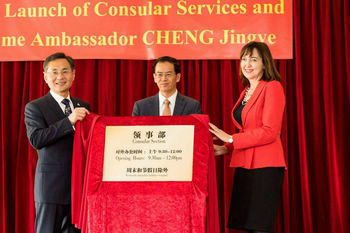 The China-Australia Year of Tourism has yielded positive results. Bilateral trade maintains strong growth. People-to-people exchanges are more frequent with new direct flights being added. 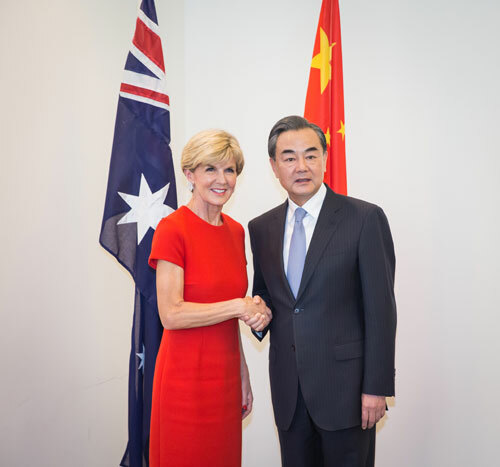 By the end of this year, China and Australia will celebrate the 45th anniversary of the establishment of their diplomatic relations. It will be a good opportunity to reflect on the past and look ahead to the future. 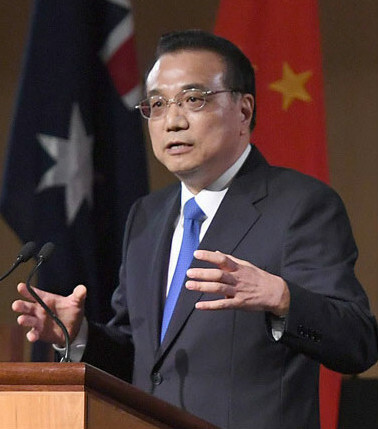 China and Australia are both important countries in the Asia-Pacific. 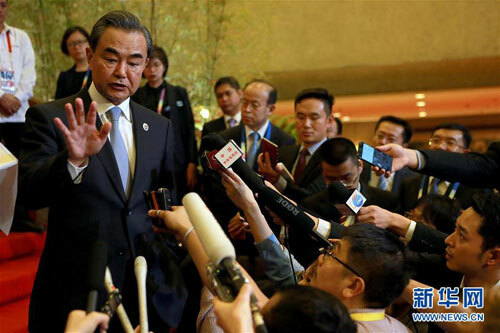 Enhancing cooperation will not only be conducive to the two peoples, but also to the peace, stability and development of the region and beyond. China looks forward to steadily deepening mutual trust and further strengthen mutual cooperation with Australia, while properly handling the differences, with a view to building a better comprehensive strategic partnership. 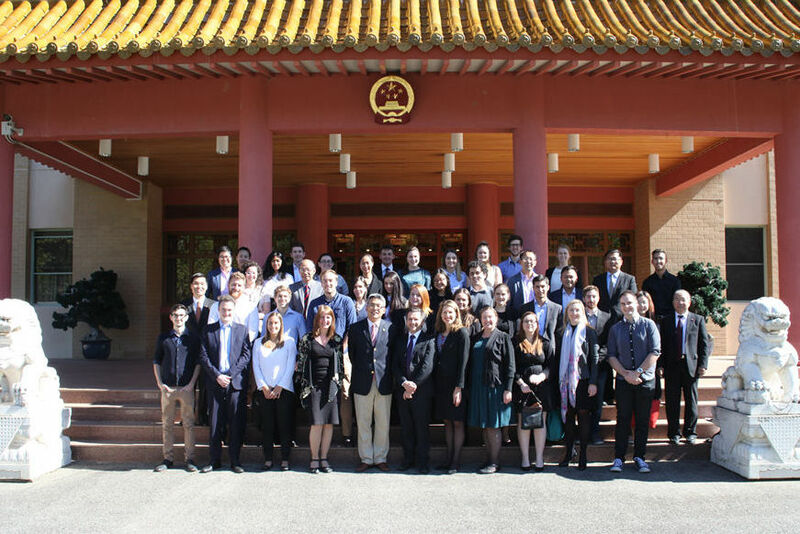 To the friendship and cooperation between China and Australia.